Flight 1: takes in the unique beauty of Francois Peron National Park with its red sands, aqua bays and startling white beaches. Named after Francois Peron a naturalist, explorer and historian who sailed to Australia with Nicholas Baudin on the ship “Geographe”. The Francois Peron National Park has stunning scenery which is often sought after by photographers and artists for the amazing contrasts in the landscape and it is not unusual for to see an array of marine life such as dolphins, sharks, rays and dugongs, all from the comfort of your aircraft seat. 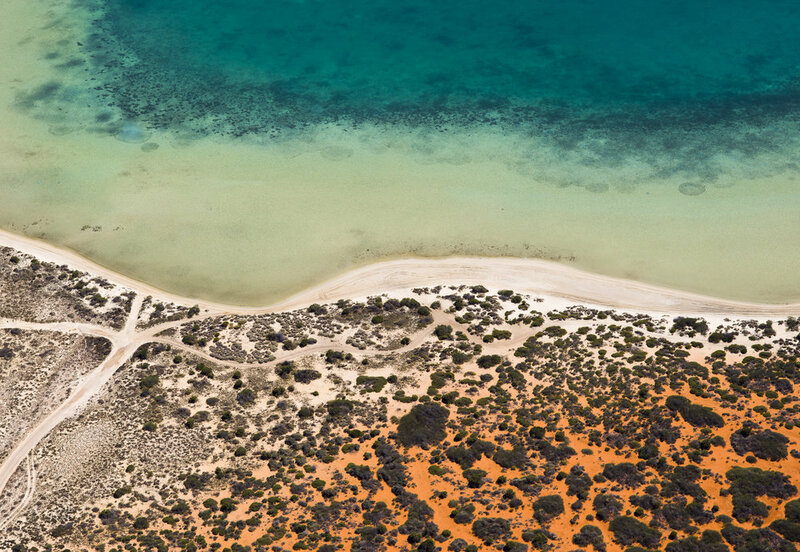 Fly over the Denham town site, past bright blue Little Lagoon before reaching the stunning Big Lagoon, which forms a magnificent mosaic of interconnected salt lagoons.The return to Shark Bay airport is via historic Peron Homestead which was originally a sheep station now part of the Peron Heritage precinct. A truly awe -inspiring experience!